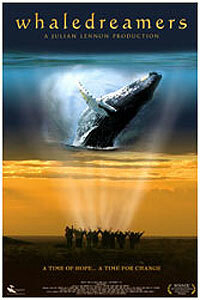 "Whaledreamers"--the title alone conjures up hypnotic visions of these most magnificent and ancient creatures. This visually stunning film offers an incredible glimpse into a rarely seen and scarcely understood tribal culture whose entire story of creation revolves around whales and has endured for centuries. The film passionately explores the connection between the subtle elegance of these "mothers of the sea" and ancient civilizations around the world whose culture and very existence is based on whales. Intertwining incredible underwater footage with ancient legend, "Whaledreamers" examines the complex past and the possibly dire future of human civilization. Told with moving optimism and spiritual strength, it is a clarion call encouraging humanity's reconnection to the profound beauty of the natural world and is an appeal to embrace all living beings thereby creating the unity and peace which the Earth itself can bring.